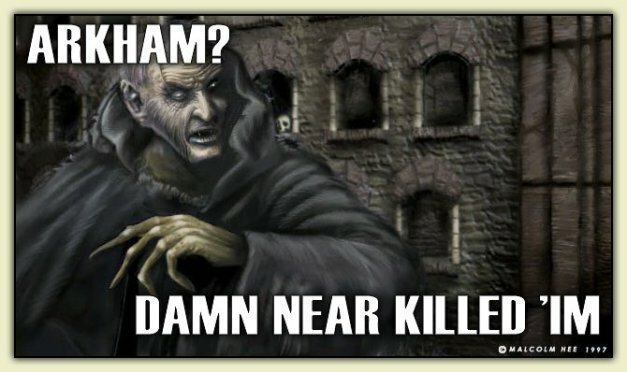 LOLTHULHU » ARKHAM? DAMN NEAR KILLED ‘IM! 5 Responses to ARKHAM? DAMN NEAR KILLED 'IM! Another pun! I CANNOT RESIST. Luvz punz. Tu bad u mizzd ur target. Can someone please explain the pun to me?